A divorced father becomes increasingly volatile in his interactions with his family. There's an infamous scene in Alfred Hitchcock's 1936 thriller Sabotage in which a schoolboy boards a bus carrying several cans of film. What the young lad doesn't know is that one of the cans contains a bomb. As you would expect from a Hitchcock film, the tension is unbearable, but then the master of suspense makes what he later considered the greatest error of his career - the bomb goes off! It's a shock moment, no doubt about that, but shocks only last a couple of seconds, whereas suspense and tension can be stretched out to unendurable lengths. 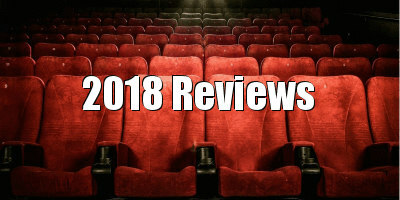 With his feature debut, actor turned writer/director Xavier Legrand mines great tension from the attempts of an increasingly unstable divorced man to reunite with his estranged and unsettled family. It's divorce drama as horror movie - Kramer vs. Kramer meets Freddy vs. Jason. But then, in its over the top finale, Legrand detonates his metaphorical bomb, sweeping away much of the film's previously well earned tension in one melodramatic swoop. Legrand opens his film in far from melodramatic fashion, with an extended and functional sequence in which divorced parents Miriam (Léa Drucker) and Antoine (Denis Ménochet) attend a custody hearing. The former's lawyer presents testimonies from the one-time couple's children - teenager Josephine (Mathilde Auneveux) and 12-year-old Julien (Thomas Gioria) - in which they both claim to have suffered varying degrees of physical abuse at the hands of their father, while the latter's defence laughs off such claims as the manipulation of a spiteful woman. Both present their cases in a fashion that keeps the viewer guessing as to who is telling the truth, but when the film takes us a few months into the future, the court having granted Miriam custody and Antoine weekend access to their children, it quickly becomes clear that Antoine is a very unstable individual. So determined to avoid her ex is Miriam that she has secretly moved her family into an apartment block while telling Antoine that she lives with her parents. Legrand builds his slow burning drama through a handful of extended sequences, using real time and the sort of dramatic gaps that some filmmakers might consider the cinematic equivalent of 'dead air' to create a sense of realism, heighten tension and place the viewer in the shoes of the victims of Antoine's harassment. In one nail-biting sequence, Antoine discovers that his ex-wife has been lying about her current living arrangements and forces Julien to take him to their new home. We spend what feels like an age in Antoine's white van as he drives around housing estates, needling his teary son for directions. Young actor Gioria's terror is so palpable you begin to wonder if he was genuinely terrified by the intimidating presence of Ménochet. Another key sequence focusses on Antoine's other child, as Josephine's 18th birthday celebrations are interrupted by a text message that immediately unnerves her. The brilliance of Legrand is to deny the audience the details of the message, instead letting the scene play out in silence as the dialogue between Josephine and her stressed mother is drowned out by booming dance music in the reception hall, finally revealing the figure of Antoine standing in the distance in the hall's car park like Michael Myers watching Laurie Strode across the street from her school in John Carpenter's Halloween. In delivering a social drama through the grammar of the horror film, Legrand hammers home the real life horrors of human relationships turned sour. Unfortunately his film's final act takes a wild tonal escalation that explicitly references a famous horror film's climax, and it all gets a little silly. But for at least 80 of his debut's 90 minutes, Legrand proves himself a new filmmaking talent worth watching. 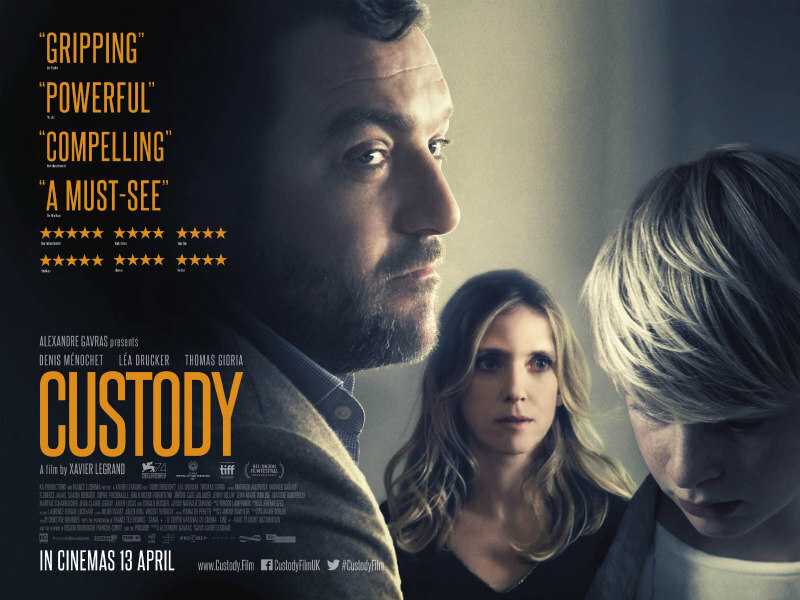 Custody is in UK/ROI cinemas April 13th.